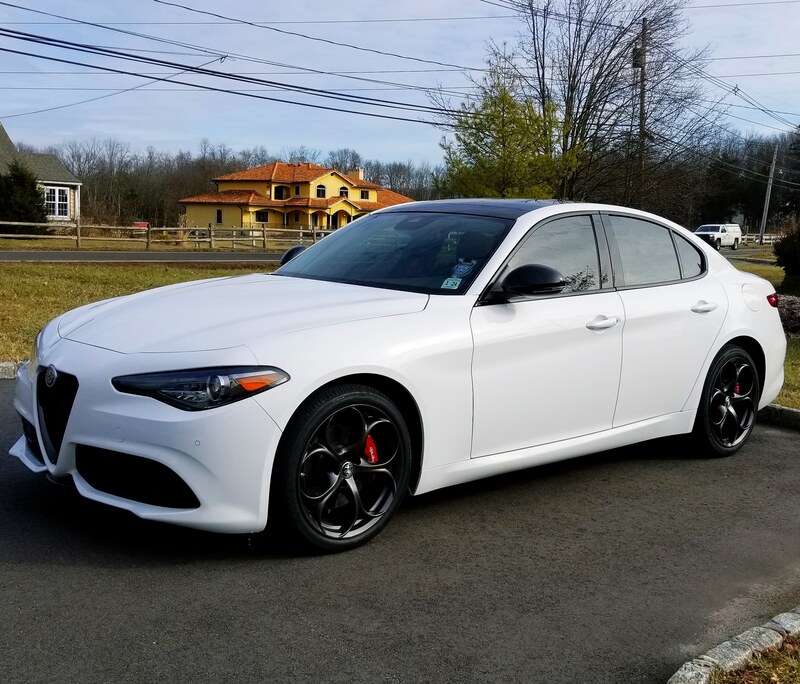 I am looking to lease transfer my 2018 Alfa Romeo Ti Sport AWD. Car is white on black leather. Car has just under a $55K MSRP, basically fully loaded with Harmon Kardon, Performance package, Full leather interior, Driving Assist (adaptive cruise, front parking aid, etc. ), blind spot, Nero Edizione package, Pano roof, etc. Car is leased through Ally Financial. $464/mo includes NJ 6.625% tax. Not looking for anything down, just pay the transfer fee ($595). Should go quick, WELL under the 1% rule. Car is a blast to drive and a great daily driver. No accidents or blemishes on the car. First service is included with Alfa when it needs it. It was a 39/mo lease, so 35 months remain. I have 12,000 miles per year, and the car is at 3982 miles currently as of 4/12. Why are you trying to transfer the car so soon? Picking up an F-Type R Convertible. Black. It’s on the first line in the post. If you don’t mind me asking, what deal did you get on the f type r? Hello I am interested what documents would you need for the transfer? Hey I’m interested as well to do this ASAP. you can text me at 347-279-4276. Good Afternoon, I am interested ASAP as well. I am located in NJ as well. If available, please DM me Thank you !